Current methods of traffic impact analysis, which rely on rates and adjustments from the Institute of Transportation Engineers, are believed to understate the traffic benefits of mixed-use developments (MXDs), leading to exaggerated roadway impacts, higher impact fees, exactions, and negotiated payments than should be the case and discouraging development of otherwise desirable projects. A national study for the US EPA, performed by a team composed of both Fehr & Peers and academic researchers, developed a new methodology to more accurately predict the traffic impacts of MXDs. The study evaluated household travel surveys from 239 mixed-use developments in Seattle, Portland, Sacramento, Houston, Atlanta and Boston and found statistical relationships between site characteristics and the amount of vehicle travel generated in and out of the site. 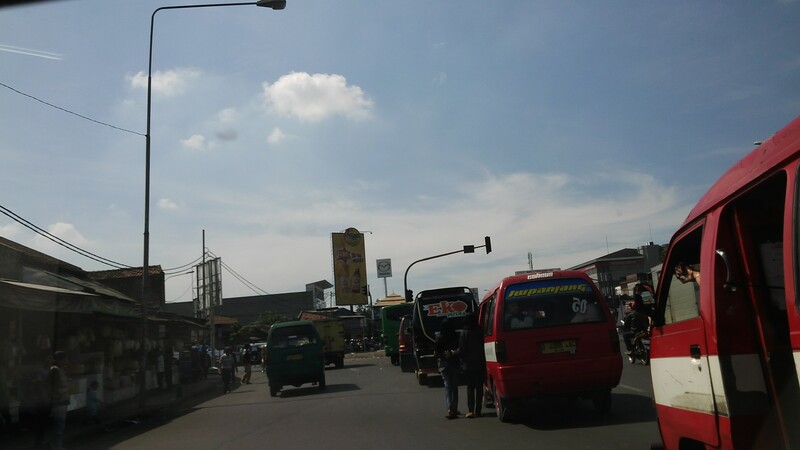 MXDs were found to reduce traffic impacts relative to single-use suburban development, due to the following key factors such as diverse on-site activities that capture a large share of trips internally, placement within walkable areas with good transit access that generate high shares of walk and transit trips, and central locations that reduce trip lengths. Who needs MXD Trip Generation? Developers: to optimize the ability to respond to policies on development related to number of trips and/or climate change elements such as VMT. Local jurisdictions: to assess traffic, air pollution,or greenhouse gas impacts resulting from proposed development. In travel research, urban development patterns have come to be characterized by “D” variables. The original “three Ds,” coined by Cervero and Kockelman (1997), are density, diversity, and design. Additional Ds have been labeled since then, destination accessibility, distance to transit, and demographics (Ewing and Cervero 2001). An additional D variable is relevant to this analysis: development scale. 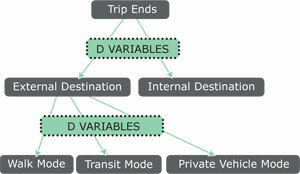 In the MXD model, travel to/from MXDs is conceived as a series of choices, which depend on the D variables. 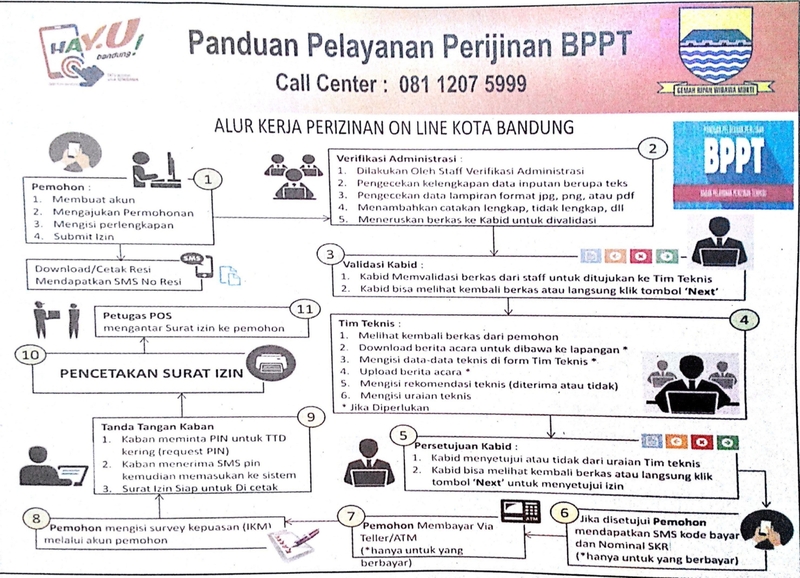 The choices relate directly to the methodology to adjust ITE trip generation rates downward. Is Transit (Bus or Rail) Present Within the Site? These variables are all examples of one or more of the “Ds” that are known to influence travel behavior. 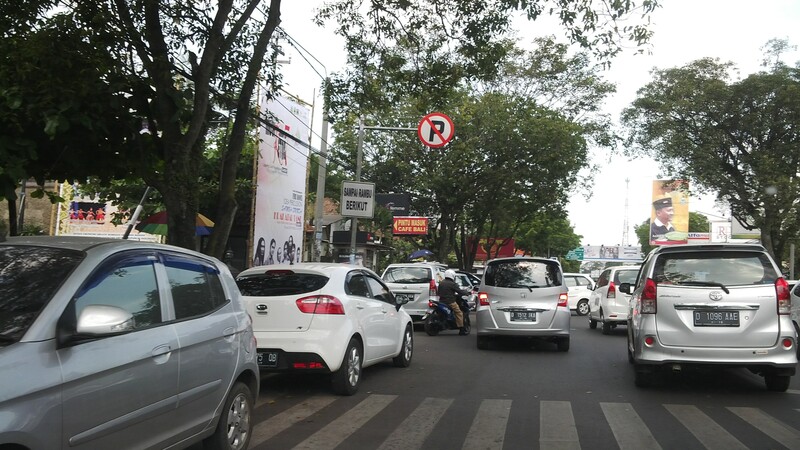 After developing the models with 239 nationwide MXDs, the models were initially applied to 16 MXDs for which traffic counts of external vehicle trips were available. 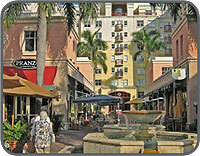 Six of those 16 sites are in South Florida and are presented in Appendix C of the Trip Generation Handbook. A seventh site is located in Central Florida, and another site is located in Atlanta, Georgia. Six of the remaining sites are located in California, and two are in Texas. In the spring of 2009, traffic counts were collected for six additional sites in the San Diego region as part of a smart growth trip generation study, bringing the total to 22 sites. The sites represent a wide range of densities, land use mixes, and development scales. Vehicle trips computed with the MXD model. 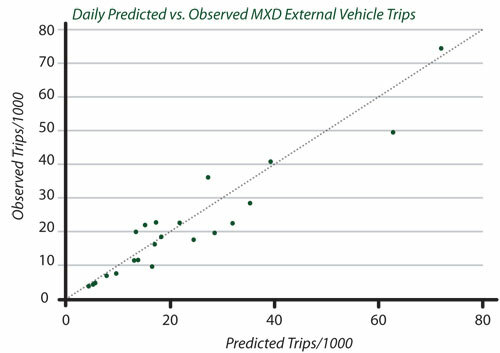 The scatterplot below compares the predicted trips from the MXD model to actual observed trips at each of the 22 sites, with the dashed line representing a perfect prediction. The relatively small level of scatter indicates that the MXD model does an accurate job of predicting the net external vehicle trips by accounting for the “D” characteristics of the sites and their surrounding built environment. The studies described here were commissioned by the US EPA, and San Diego Association of Governments (SANDAG). The development of the MXD trip generation method was managed by Jerry Walters of Fehr & Peers, and Reid Ewing of the University of Utah was the Principal Investigator. Significant contributions also came from Mark Feldman of Fehr & Peers, Ming Zhang of the University of Texas, Michael Greenwald and Larry Frank at Urban Design for Health, Robert Cervero of the University of California, and John Thomas of US EPA.